Dallas Symphony Orchestra performing Michael Jackson tribute. On September 1st and 2nd at 8:00pm at the Meyerson the Dallas Symphony Orchestra will be playing music of the King Of Pop. Michael Joseph Jackson. From his early years with the Jackson 5 to his mega-hit album Thriller and beyond, Michael Jackson stormed the music industry with hit after hit. 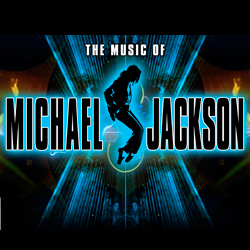 The Music of Michael Jackson with the DSO will take you through each era of this storied performer from ABC, I’ll Be There and Got To Be There through Beat It, Thriller, Rock With You, The Way You Make Me Feel and many more! Sleater Kinney Has A Badass New Music Video! The New Michael Jackson Album ‘Xscape’ Will Be Unleashed At The Billboard Music Awards!! This entry was posted on Monday, August 30th, 2010 at 10:35 pm	and is filed under Events, Music. You can follow any responses to this entry through the RSS 2.0 feed. You can leave a response, or trackback from your own site. Wow,I admire Michael Jackson! He was the best to ever do it! We will never have someone like him! Rest in Peace to the KING! « If Bill and Ted travel through time again…..?? Killing my first man was like making love to my first woman.